Genre/Influences: Experimental, minimal-electronics, abstract, soundscape. Background/Info: Raffaele Pezzella is an Italian artist and the owner of Unexplained Sound Group. 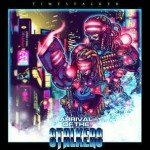 He’s active as a musician under the Sonologyst moniker and has already released multiple productions during the past few years. This new work reveals a conceptual approach transposing theories about electrons into music. Content: If science and research about electrons is a complex, but fascinating subject, it also reflects the sonic exploration of Sonologyst. The work is a constant exploration of experimental noise fields, which often sound like signals emerging from distant and unknown music planets. But is it really ‘music’ properly speaking? “Electrons: A Scientific Essay” rapidly becomes a kind of abstract soundscape where the composer is manipulating the knobs of his machines to obtain a kind of hostile sound atmosphere. There’s an interesting progression running through the tracks and especially the final cuts are worthy of examination. + + + : Raffaele Pezzella is more a sound architect instead of a musician. 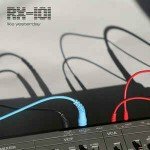 You feel a fascination for sounds and noises, which have been transformed and adapted into a kind of sonic rarity with a dark and sometimes disturbing touch. This is the right production for lovers of experimental music. – – – : Sonologyst clearly appeals for a much selected group of music freaks. This is not the most accessible production and clearly an antidote to music with the typical verse – chorus structure. 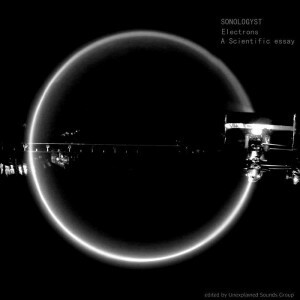 Conclusion: Sonologyst is a kind of sonic alien composing a paranormal sound, which is impossible to define and hard to catch. Best songs: “Zeeman Effect”, “Hadronic Telescope”.